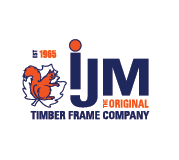 IJM Timber Engineering Limited is an established leader in the off-site construction industry in Ireland and the UK, in the design and manufacture of quality timber frame buildings. The service is from concept design through to engineering, manufacture and erection. These buildings are at the leading edge in terms of environmental, energy management and building regulations compliance. The “green home” passive house standards are a normal part of their production capabilities. This company planned to expand to a turnover in excess of 1000% of it level in 2014, and increase employees accordingly. It operates in a low margin business and it wanted to increase throughput/sales without increasing overheads. The challenges were to implement new processes (as highlighted above) while still running a business that was growing rapidly, within the constraints of a recovering construction market with lean margins. New on site erection processes and controls are in place. Gross profit improved by 186% over the same period, with even better increases in the net profit. On time in full improved to 98% plus. Cost of quality is now well under control.